W. Culpepper, Rusk Co., TX. John Micajah Culpepper and Mollie Stephens, 1886, Bell Co., TX, Book H, p. 177. Aline Levitle, Boarder, F, May-1899, 1, S, TX TX TX. There are 5 other names in this household that are un-readable. Anna Culpepper, Dau, F, 24, S, TX MS MS, Teacher-Music. Mallie Bankhead, Dau, F, 37, M, md @25, TX/TX/TX. John M. Culpepper, died 25 Jun 1946 in Bell Co., TX. He graduated from Tulane University in 1915 with a Medical degree and Doctor of Public Health degree. He taught in the school of Medicine at Syracuse University until 1917. 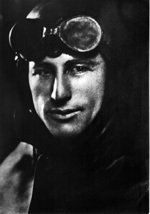 He was a Flight Surgeon in the Army during WW I serving in France. After the war he opened a clinic in South Bend, Indiana, and subsequently moved to Illinois where he lived for many years in Chicago and other cities in Illinois, before moving to Louisiana. "He told us children that he opened a clinic in South Bend, Indiana, before moving to Chicago to study Radiology under Dr. Benjamin Orndorph, the father of American Radiology. My sister Virginia, was invited to attend an anniversary celebration of the Clinic few years ago, in South Bend, Indiana. How long ago, I cannot recall. He told me long ago that after the first World War he went to Germany and studied medicine in a German University." The 1920 census shows William L. living in Manhattan, NY. He and wife Ella were lodgers at the residence of Eugene Tomisic and wife. William L. was 30, Ella was 27, and they had been married an unknown length of time. He was from Texas and she, from Germany. Ella's father was German, but her mother was French. William L. was a doctor, and his wife had no outside occupation. They were living in Manhattan in the 18th Ward. They were in census Enumeration District 968, on Sheet 5-B, Lines 66 and 67. The sheet was recorded on the 6th and 7th of January, 1920. Street address of the home was 105 West 134th Street. Ella Culpepper; 12 Sep 1921; 29y; Female; Married; Citizen by marriage; Residence: South Bend IN; Ship: Minnekahda; Port: Hamburg, Germany. William Louis Culpepper, Goose Creek, TX, age 27, born 27 Sep 1889 in Temple, TX, Self employed as Doctor of Medicine at Goose Creek, TX, Wife is dependent, Married, Caucasian, Medium height, Slender build, Blue eyes, Light hair, Not bald, No disabilities. Registered 5 Jun 1917 at Harris Co., Texas. Ella Culpepper, Lodger, Female, 27, Md, Naturalized Date Unk, Germany/Germany/France. William L. Culpepper, Son, 5, IL/TX/MI. William Louis Culpepper, M, 26 May 1925, Illinois, 2 Sep 1993, 68Yrs, Mother's maiden name=Gomash. E-mail written 8 Dec 2007 to Warren Culpepper from Phyllis Strotheide Culpepper (#20924), e-mail address.